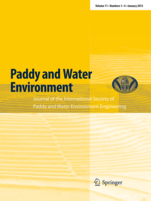 The journal Paddy and Water Environment aims to advance the science and technology of water and environment-related disciplines in paddy-farming. The scope extends broadly to paddy-farming related scientific and technological aspects of agricultural engineering such as irrigation and drainage, soil and water conservation, land and water resources management, paddy multi-functionality, agricultural policy, regional planning, bioenvironmental systems, and ecological conservation and restoration in paddy farming regions. The aim of Paddy and Water Environment is to advance the science and technology of water and environment related disciplines in paddy-farming. The scope includes the paddy-farming related scientific and technological aspects in agricultural engineering such as irrigation and drainage, soil and water conservation, land and water resources management, paddy multi-functionality, agricultural policy, regional planning, bioenvironmental systems, and ecological conservation and restoration in paddy farming regions. Articles cover full reports of research work that must be written following the guidelines described below with the minimum length required for a precise description and clear interpretation of theoretical or experimental work. Over 12 printed pages (36 template pages) will not be accepted. Technical reports must present original, practical information, preliminary or partial results of research, engineering applications in the field covered by Paddy and Water Environment. Over 12 printed pages (36 template pages) will not be accepted. Reviews dealing with all aspects of paddy- farming related scientific and technological interest in agricultural engineering will be accepted, and authoritative and critical reviews of the current state of knowledge are preferred. There is no prescribed layout for reviews, but the tables and manner of citations should conform to the guidelines for “Articles”. Over 12 printed pages will not be accepted. 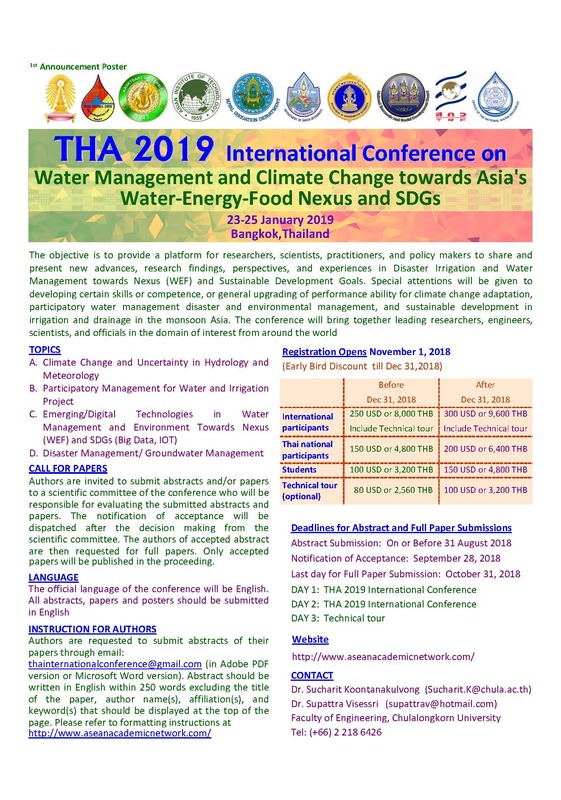 Short Communications are concise but complete explanation of limited investigation on the critical issues in the field of Paddy and Water Environment. Over 4 printed pages will not be accepted. Note: If you use Word 2007, do not create the equations with the default equation editor but use the Microsoft equation editor or MathType instead. Save your file in doc format. Do not submit docx files. Footnotes to the text are numbered consecutively; those to tables should be indicated by superscript lower-case letters (or asterisks for significance values and other statistical data). Footnotes to the title or the authors of the article are not given reference symbols. Always use footnotes instead of endnotes. This result was later contradicted (Becker and Seligman 1996). This effect has been widely studied (Abbott 1991; Barakat et al. 1995; Kelso and Smith 1998; Medvec et al. 1993). Tables should always be cited in text in consecutive numerical order. For each table, please supply a table caption (title) explaining the components of the table. Identify any previously published material by giving the original source in the form of a reference at the end of the table caption. Footnotes to tables should be indicated by superscript lower-case letters (or asterisks for significance values and other statistical data) and included beneath the table body. For the best quality final product, it is highly recommended that you submit all of your artwork “ photographs, line drawings, etc. “ in an electronic format. Your art will then be produced to the highest standards with the greatest accuracy to detail. The published work will directly reflect the quality of the artwork provided. Supply all figures electronically. Indicate what graphics program was used to create the artwork. For vector graphics, the preferred format is EPS; for halftones, please use TIFF format. MS Office files are also acceptable. Vector graphics containing fonts must have the fonts embedded in the files. Do not use faint lines and/or lettering and check that all lines and lettering within the figures are legible at final size. All lines should be at least 0.1 mm (0.3 pt) wide. Scanned line drawings and line drawings in bitmap format should have a minimum resolution of 1200 dpi. Vector graphics containing fonts must have the fonts embedded in the files. If any magnification is used in the photographs, indicate this by using scale bars within the figures themselves. Halftones should have a minimum resolution of 300 dpi. Definition: a combination of halftone and line art, e.g., halftones containing line drawing, extensive lettering, color diagrams, etc. Combination artwork should have a minimum resolution of 600 dpi. Color art is free of charge for online publication. If black and white will be shown in the print version, make sure that the main information will still be visible. Many colors are not distinguishable from one another when converted to black and white. A simple way to check this is to make a xerographic copy to see if the necessary distinctions between the different colors are still apparent. If the figures will be printed in black and white, do not refer to color in the captions. Color illustrations should be submitted as RGB (8 bits per channel). To add lettering, it is best to use Helvetica or Arial (sans serif fonts). Keep lettering consistently sized throughout your final-sized artwork, usually about 2?3 mm (8?12 pt). Variance of type size within an illustration should be minimal, e.g., do not use 8-pt type on an axis and 20-pt type for the axis label. Avoid effects such as shading, outline letters, etc. Do not include titles or captions within your illustrations. All figures are to be numbered using Arabic numerals. Figures should always be cited in text in consecutive numerical order. Figure parts should be denoted by lowercase letters (a, b, c, etc.). If an appendix appears in your article and it contains one or more figures, continue the consecutive numbering of the main text. Do not number the appendix figures, “A1, A2, A3, etc.” Figures in online appendices (Electronic Supplementary Material) should, however, be numbered separately. Each figure should have a concise caption describing accurately what the figure depicts. Include the captions in the text file of the manuscript, not in the figure file. Figure captions begin with the term Fig. in bold type, followed by the figure number, also in bold type. No punctuation is to be included after the number, nor is any punctuation to be placed at the end of the caption. Identify all elements found in the figure in the figure caption; and use boxes, circles, etc., as coordinate points in graphs. When preparing your figures, size figures to fit in the column width. For most journals the figures should be 39 mm, 84 mm, 129 mm, or 174 mm wide and not higher than 234 mm. For books and book-sized journals, the figures should be 80 mm or 122 mm wide and not higher than 198 mm.